This apron can be worn throughout the year if you want.The front side was made using a autumn print with pumpkins, apples, etc. on a brown background. 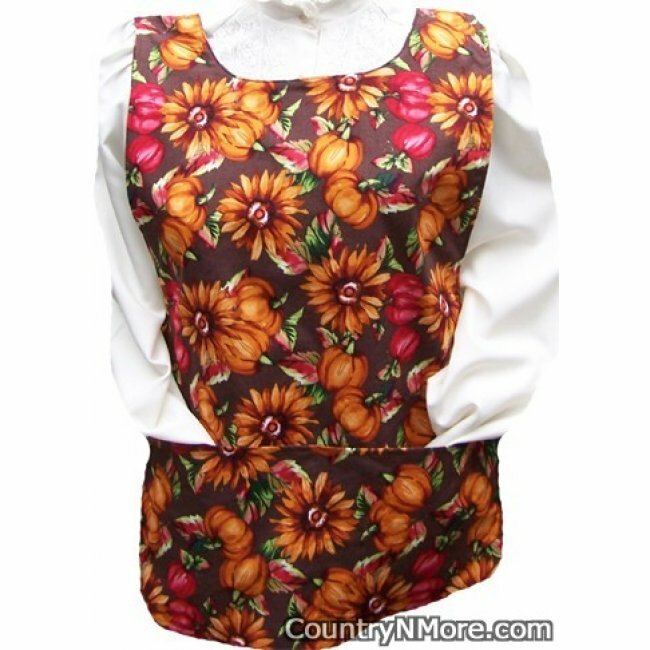 The reverse side of this cobbler apron was made using a floral print on a brown background. 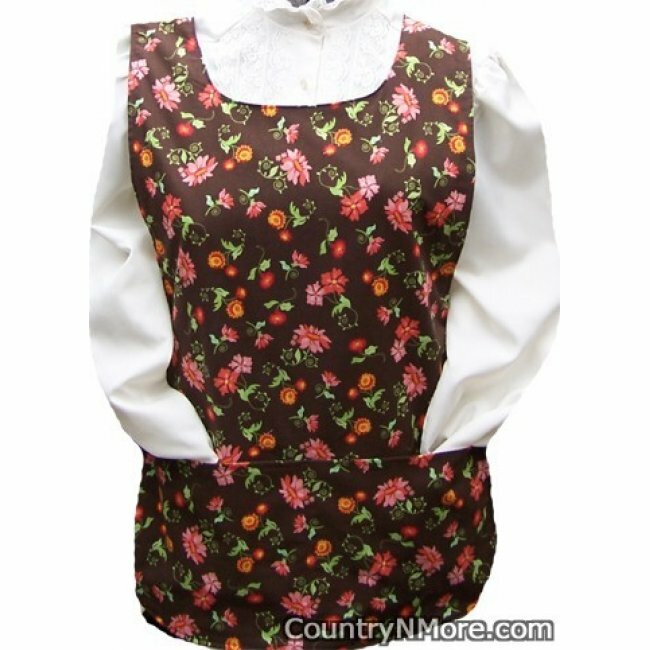 The brown background brings out the gorgeous colors of this apron.